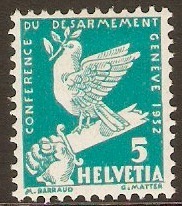 Switzerland 1932 5c Blue-green. SG338. Mounted mint 1932 5c Blue-green. SG338. 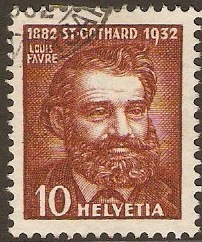 Used 1932 Int. Disarmament Conference Series. SG338-SG342. 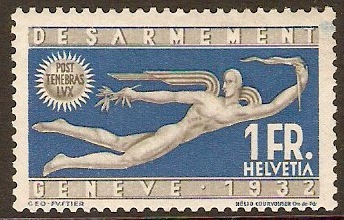 Switzerland 1932 Int. Disarmament Conference set. SG338-SG343. Fine used 1932 International Disarmament Conference set. SG338-SG343. Switzerland 1932 10c Bright orange. SG339. Mounted mint 1932 10c Bright orange. SG339. 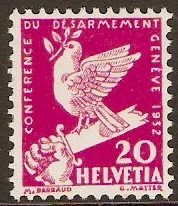 Switzerland 1932 20c Magenta. SG340. Mounted mint 1932 20c Magenta. SG340. Switzerland 1932 30c Bright blue. SG341. Mounted mint 1932 30c Bright blue. SG341. 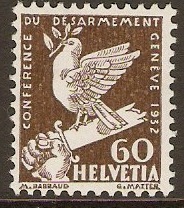 Switzerland 1932 60c Bistre-brown. SG342. Mounted mint 1932 60c Bistre-brown. SG342. 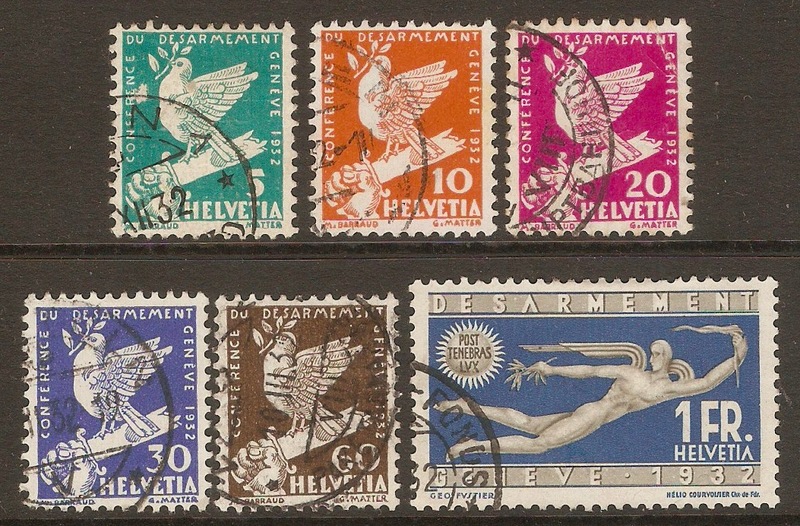 Switzerland 1932 1f Olive-grey and blue. SG343. 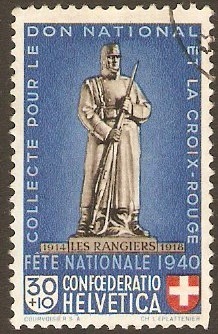 Mounted mint 1932 1f Olive-grey and blue. SG343. 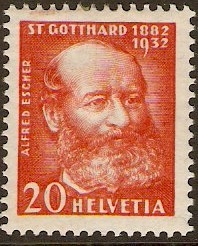 Switzerland 1932 20c flesh and scarlet. SG345. Mounted mint 1932 20c flesh and scarlet. SG345. Switzerland 1932 10c chestnut. SG347. Fine used 1932 10c chestnut. SG347.